Merhotepre Sobekhotep was an Egyptian king of the 13th Dynasty during the Second Intermediate Period. According to egyptologist Kim Ryholt he was the thirtieth pharaoh of the dynasty, while Darrell Baker believes instead that he was its twenty-ninth ruler. In older studies, Jürgen von Beckerath and Detlef Franke identified Merhotepre Sobekhotep with Merhotepre Ini, thereby making him Sobekhotep VI and the twenty-eighth ruler of the 13th dynasty. Wahibre Ibiau was an ancient Egyptian pharaoh of the 13th Dynasty, who reigned c. 1670 BC for 10 years 8 months and 29 days according to the Turin King List. Sobekhotep III was an Egyptian king of the 13th dynasty who reigned 3 to 4 years, c. 1740 BC or 1700 BC. Djedkheperew was an Egyptian pharaoh of the 13th Dynasty reigning for an estimated two-year period, from c. 1772 BC until 1770 BC. According to Egyptologists Kim Ryholt and Darrell Baker, Djedkheperew was the 17th king of this dynasty. 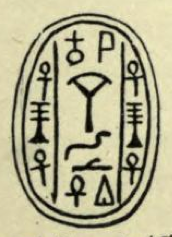 Djedkheperew is this pharaoh's Horus name; the prenomen and nomen of Djedkheperew, which would normally be employed by modern conventions to name a pharaoh, are unknown.